This master-crafted, law enforcement quality badge with its eagle-top design, liberty & justice for all center emblem and clear “Concealed Carry Permit” engraving will help identify yourself as a handgun carrier. This badge measures 3″ x 2 1/4″. 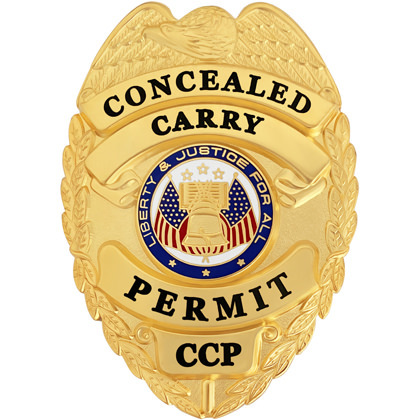 This Concealed Carry Permit badge is outfitted with a heavy duty clip style attachment. This badge is out of stock.